Uber and Lyft are two of the most popular ride-hailing or cab services available in many countries around the world. A passenger can use both Uber and Lyft services through a smartphone, after registering. Passengers can download their mobile apps, sign-up and start using their cab services by submitting the desired trip requests with some required details. Lyft is a ride-hailing cab service. It is based in the USA. Lyft operates in many cities across the globe. To use Lyft services as a passenger, people need to create user accounts and download the Lyft app. Passengers should install the app on their smartphones and set up the preferred payment method for paying for rides such as credit card. It supports Android, iPhone, and Windows Phone. 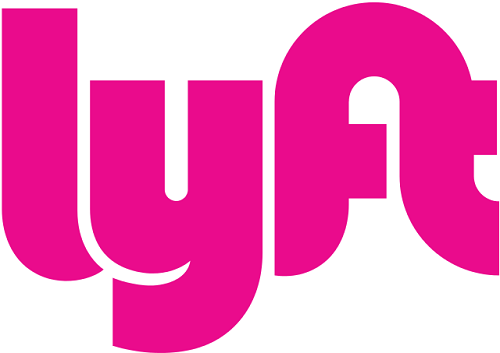 Thereafter, passengers just need to launch the Lyft app, and request a riding trip along with some required info like pick up location, preferred car type, etc. Passengers can make request for a ride from a nearby cab driver. The Lyft app has a simple and user friendly interface. Passengers can select any one of the Lyft car service such as Lyft, Lyft Line, Lyft Plus, Lyft Premier, etc. 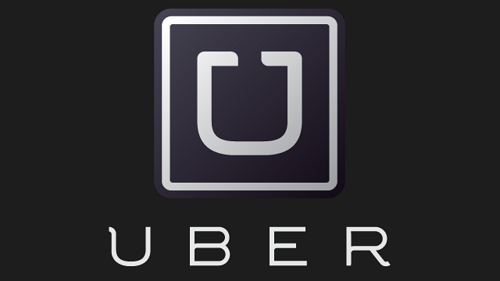 Uber is a pioneering cab or ride-hailing service. It was launched in the USA. Uber now has operations in numerous cities across the world. To use the Uber services as a passenger, people should create a user account and install Uber app on their smartphones. Passengers have to set up the preferred payment method for paying for the cab rides such as credit card, PayPal, etc. It supports Android, iPhone, and Windows Phone. Thereafter, you just need to launch the Uber app, and request a riding trip along with some required info like pick up location, preferred car type, etc. It has a very easy to use interface – you can just tap to initiate a number of actions or services. You can choose any one of the Uber car services such as UberPool, UberX, UberXL, UberSelect, UberBlack, Uber SUV, etc. Lyft and Uber both are popular cab services with ride-hailing apps. Both Uber and Lyft have a more or less similar process for requesting a cab ride. Both of them send the essential details like driver identity, cab details to the ride hailing customer. A customer can give a rating to the cab driver as well as his or her overall riding experience. The cab drivers can also give rating to the passenger. Lyft and Uber both are available on 24/7 basis; though their services may be difficult to get quickly in the mid-night. Both Lyft and Uber provide services on-demand. Both of them have a typical waiting time of only a few minutes during the day time. Both give a facility to book a cab ride in advance. Lyft and Uber both have pricing styles whereby their cab services cost more during the rush hours or peak period. Price: Lyft has lower prices for various cab and ride services; while Uber has higher prices for its services. Vehicle Types: Lyft has lesser options in terms of the types of cars or vehicles offered to the passengers; while Uber has more number of options in terms of the types of cars or vehicles. Coverage: Lyft has less coverage in terms of the number of cities or areas. Lyft is focused on the United States along with a handful of foreign countries. But, Uber has a very wide coverage and provides services in numerous cities and many countries around the world. Apps: Lyft has a mobile app providing many features and facilities; but Uber app is much more feature packed and offers many facilities to the passengers. Customer Service: Lyft has a much better and friendly customer service for the passengers; while Uber has professional stereotype customer services with canned type of responses to the passengers. Peak Demand Pricing: Lyft has somewhat lower prices for the various cab and ride services during the rush hour or peak demand period. Lyft charges prime time prices which are two or three times higher than normal prices. On the other hand, Uber has very high prices for the various cab and ride services during the rush hour or peak demand period. Uber surge pricing may increase prices to five times higher than normal prices, or sometimes even more. Peak Price Area: Lyft uses heat maps for increasing cab ride rates based on location and time, but the area of the heat map of Lyft tends to be comparatively smaller. This allows the passenger to walk out of the heat map area to an area with normal prices. Uber also uses heat map, but Uber’s heat map area is much larger, so the passenger has little choice but pay the higher prices. Offers: Lyft tends to give more offers particularly to the new users; whereas Uber tends to give lesser offers. Drivers: Lyft requires drivers to pass the strict driving and background checks. Lyft tends to have more in-depth interviews of the drivers. Uber too has drivers who have undergone driving and background checks successfully. However, it is more liberal comparatively. Driver Behavior: Lyft drivers tends to be more friendly with the ethos and culture like a friend with a car; whereas Uber drivers tend to be more sophisticated and reserved just like your private driver. Uber promotes a work culture of professionalism and more etiquette based behavior. Tips: Lyft passengers have been giving the tips to the cab drivers via the Lyft app as well as in the cash; whereas Uber does not encourage or solicit tips. Uber app did not provide a facility to give the tips to the cab drivers for a long time. However, Uber allows the cab drivers to accept tips in the cash, and now the Uber also allows tips through app. Size: Lyft is a small company, whereas Uber is a much larger company. Funding: Lyft has got a large amount of funding worth billions of dollars, whereas Uber has huge funding worth many billions of dollars in a number of funding rounds. Valuation: Lyft has an enterprise valuation worth billions of dollars, whereas Uber has a very high enterprise valuation worth more than $50 billion dollars. Brand: Lyft has a brand which is recognized in the United States; but Uber has become a global brand and well known in many countries across the world. Publicity: Lyft has avoided negative publicity and major controversies, whereas Uber has got involved in many controversies and negative publicity in many countries. Lyft and Uber both provide cab or hail-riding services to the passengers. Both of them are popular and well-known brands. Both Uber and Lyft provide a reliable cab service or ride. In some areas or cities, Lyft cab or hail-riding services have more and better coverage; while Uber services may be better in some other areas or cities. Moreover, Lyft and Uber both have certain individual features or characteristics, which are liked by some passengers but not by some others. Lyft and Uber have certain important differences in terms of prices, vehicle options, drivers, coverage, company value, etc. Surendra Singh. "Difference between Lyft and Uber." DifferenceBetween.net. June 12, 2018 < http://www.differencebetween.net/technology/difference-between-lyft-and-uber/ >. Branman, Miles. "Uber vs. Lyft: This is the ultimate ridesharing app showdown." digitaltrends.com. Digital Trends, 9 Nov. 2017. Web. 12 Nov. 2017. < https://www.digitaltrends.com/cars/uber-vs-lyft/>. Campbell, Harry. " What’s The Difference Between Lyft and Uber?." maximumridesharingprofits.com. Maximum Ridesharing Profits, n.d. Web. 12 Nov. 2017. .
Stobing, Chris. "Uber vs Lyft: What’s the Difference and Which Should I Use?." howtogeek.com. How-To Geek, 25 Jun. 2015. Web. 12 Nov. 2017. .